The Nevada Association for the Education of Young Children seeks to improve early childhood education in Nevada by providing members and interested persons with the tools and information necessary to promote effective public policy. Power Up Your Profession by telling your policy makers what Nevada needs to make quality early learning experiences more accessible in Nevada! Use the resources below to see our policy priorities, learn about how to advocate, and opportunities to join us. The Public Policy Planning Committee has composed and updated the NevAEYC White Paper, which provides four issues imperative to advocacy for Nevada’s young children and their families. The White Paper delivers a clear description of the four imperative issues, Nevada’s status in each area, the investment needed for some progression, and the impact that these investments would have on Nevada’s economy. It is important that all Nevadans become mindful of the financial and social impact of NOT caring for our youngest citizens and their families. Investments in quality early care and education results in families with a higher quality of life and greater contribution to their communities, resulting in better paying jobs, higher tax contributions, and less dependence on public support throughout their entire lives. We want our legislators to know that they must act to change this dismal situation so that families can work and contribute to the well-being of our State e conomy. Do you want to brush up on your knowledge of how a bill becomes a law? Watch School House Rocks I’m Just a Bill for fun and quick refresher! We also have several training videos to help you learn how to advocate for legislation in Nevada. Learn how to Share Your Opinion Online, Testify, and Track Bills! BE AN EARLY CHILDHOOD ADVOCATE! You can raise your voice in support of affordable early care and education by advocacy in the following ways! See examples and download your template at the Strong Start Nevada website! Children’s Week at the Legislature! 2019 Dates Coming Soon. The NevAEYC Public Policy Committee is continuing an awareness campaign to inform our legislators of the importance of funding programs for children. Agencies and organizations in both the public and private sectors from across the state join together to show support for Nevada’s families and improve our communities at the Nevada State Legislature during children’s week. Each day is focused on a separate issue. Six NevAEYC members from all over the state of Nevada traveled to DC to discuss the importance of early childhood education. Thank you to all of our representatives for taking time to meet with us. Let’s all work together to make Nevada better for children and families. Do you want to join us next year? Save the Date! The 2019 Public Policy Forum will be February 24-26, 2019–and we want you to be there! Think Fast. They Do. Early Childhood Brain Development. Nevada Legislature: Research legislative action and find out who your representatives are! Change the First Five Years and You Change Everything! Please take five minutes to view this powerful video on the importance of children’s first five years. The video, “What Children Learn in Pre-K”, tells the stories of five young children who had an opportunity that is still unavailable to millions of children in the U.S.: the opportunity to attend a high-quality pre-kindergarten program. We were privileged to follow Erika, Nataya, Cesar, William, and Gillian-as well as their classmates, family members, and teachers-for a full school year to see how quality pre-k helps all children prepare for success in school and in life, and through the short video below we want to share what we witnessed. Sign up for our e-mail list to receive updates and action alerts on important early childhood policy issues. Child Care Aware of America’s Action and Information Center – Child Care Aware of America leads projects that increase the quality and availability of child care, undertakes research, and advocates for child care policies that improves the lives of children and families. The Action and Information Center has the latest issue campaigns to strengthen child care. Children’s Advocacy Alliance– The Children’s Advocacy Alliance (CAA) is a community-based nonprofit organization that mobilizes people, resources and reason to ensure every child has a chance to thrive and to make Nevada a better place to live and raise a family. CAA advocates for the well-being of Nevada’s Children. We bring people together to build consensus around priorities and to leverage our collective strength toward real changes in policy and practice. Our organization collects, analyzes and shares research and information with people who make decisions impacting Nevada’s children and families. We believe in building public will through education, outreach, and advocacy to solve expansive and chronic problems facing kids and families. CLASP – A national non-profit organization which seeks to improve the economic security of low-income families with children. CLASP develops and advocates for federal, state and local policies to strengthen families and create pathways to education and work. NAEYC Children’s Champions – Keep updated on the lasted news from Congress and the Administration that impacts young children and families. Join Children’s Champions to be included on e-mail list and be kept up-to-date. This site also includes information from NAEYC on federal policies and legislation, state legislative trends and policies, national reports and research, critical issues, position statements and links to national early childhood organizations. Stay keen on federal developments in the realm of early childhood education by checking up on Updates & Alerts from the National Association for the Education of Young Children (NAEYC). National Women’s Law Center, Child Care & Early Learning Issues – The Center’s research, analysis, and advocacy take place when legislatures are enacting or amending laws, the executive branch and its agencies are writing regulations or otherwise enforcing laws and policies, and the courts are reviewing actions. The Center also conducts campaigns and public awareness efforts to educate and mobilize the public to press for policy changes to improve women’s lives. Nevada Institute for Children’s Research & Policy – The Nevada Institute for Children’s Research and Policy (NICRP) is a not-for-profit, non-partisan organization dedicated to advancing children’s issues in Nevada. NICRP’s mission is to conduct academic and community-based research that will guide the development of policies, programs and services which will enhance the health and well-being of Nevada’s children. 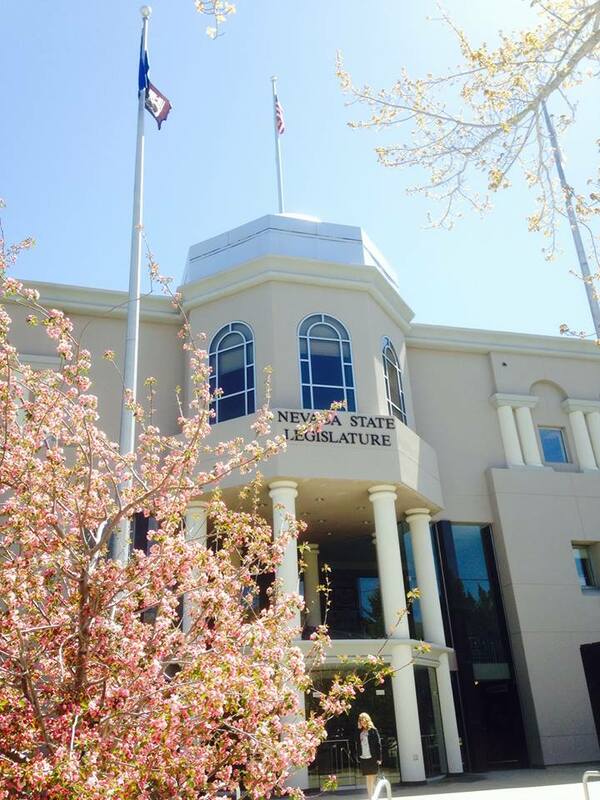 Nevada State Legislature – Provides information on past and current legislative sessions, contact information for legislators, the NRS and NAC, as well as information on the legislative process and history. NV Women’s Lobby – The Nevada Women’s Lobby (NWL) is a statewide non-partisan coalition of organizations, women and men presenting a strong voice on issues affecting women and families. A primary issue of the NWL is education.